With the latest 802.11ac Wi-Fi technology, the Zyxel ARMOR X1 AC2100 Dual-Band Wireless Gigabit Access Point/Range Extender delivers speeds of up to 2100 Mbps to your Wi-Fi devices. It covers all your home network requirements with the optimal Wi-Fi and Gigabit Ethernet for better online experience. The ARMOR X1 enables 4K/UHD video streaming or lag-free online video gaming by extending your existing fast 802.11ac Wi-Fi network at home. Remove Wi-Fi dead spots at home. Reach all corners of your home with ARMOR X1. Get better Wi-Fi coverage by placing the ARMOR X1 near the dead Wi-Fi spot. 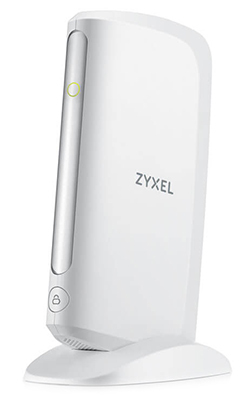 The Zyxel ARMOR X1 works as an access point, a Wi-Fi extender or a wireless client. 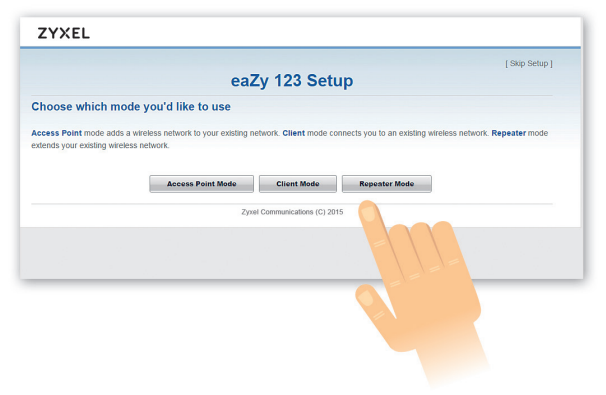 Simply select the mode needed for your network environment using eaZy123 setup wizard to enjoy the high-speed network instantly. It fits into shelves like a book, sits on the desk beside the telephone or stands next to the ultra-thin TV perfectly—just place it the way you’d like. 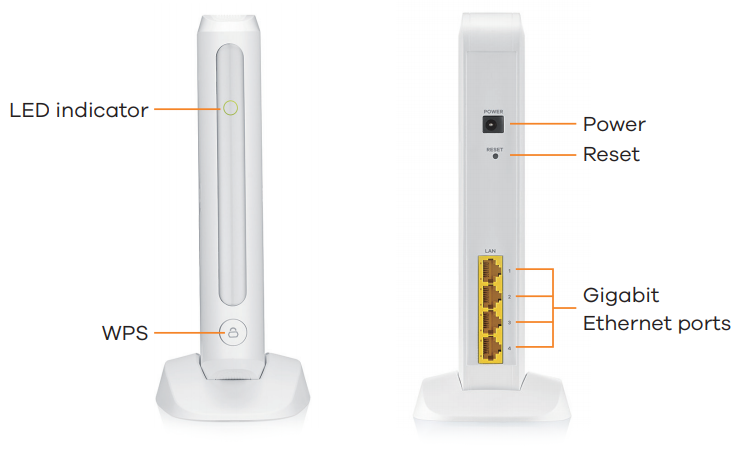 All you need to do is to decide the best spot to connect your wireless devices to the router and power it up. 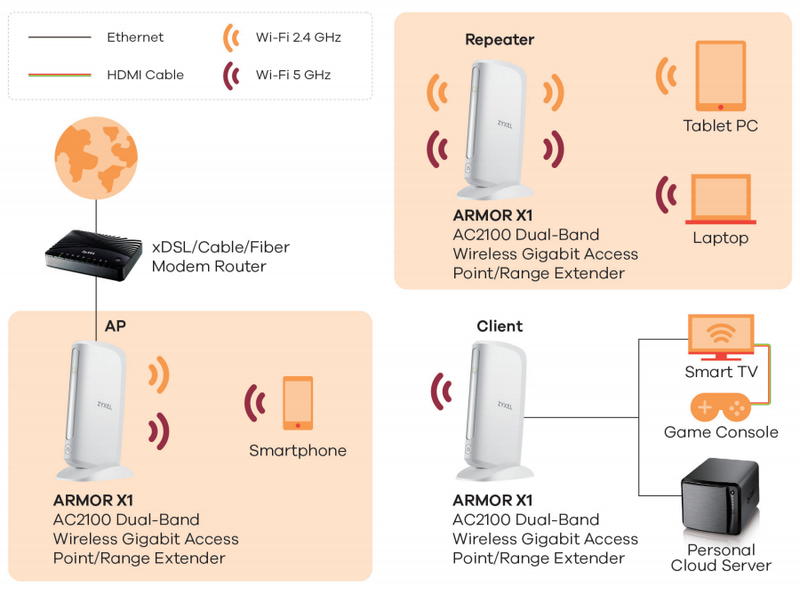 The Zyxel ARMOR X1 provides the latest 802.11ac dualband wireless technology, with which you can instantly enjoy 2.4 GHz/5 GHz wireless connectivity for daily use. Choose the “Range” mode for maximum Wi-Fi coverage or “Speed” mode to boost speedy 5 GHz connection for video streaming and throughput-intensive applications. 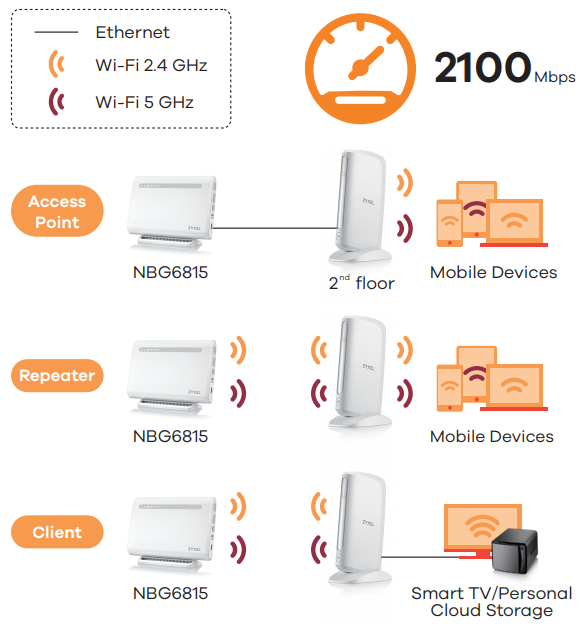 You have the freedom to choose: adding wireless speeds of up to 2100 Mbps* with reliable Gigabit Ethernet connection to different floor or rooms, easily extending 802.11ac wireless coverage from your existing 802.11ac router, or providing Internet connection to your media devices wirelessly from the router. 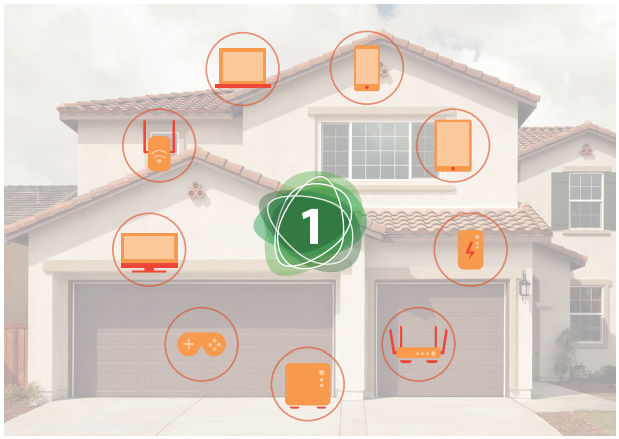 Choose what you need for your wireless network at home so the Zyxel ARMOR X1 will play the role for you. With four Gigabit Ethernet ports, the Zyxel ARMOR X1 has been designed for reliable, high-performance video streaming with speeds much faster than typical Ethernet connections; and the device makes it easy to connect multiple wired devices like smart TV, laptop, game console or NAS. Easily get your network connected and configured quickly when you connect the ARMOR X1 to any Zyxel ONE Connect ready devices! 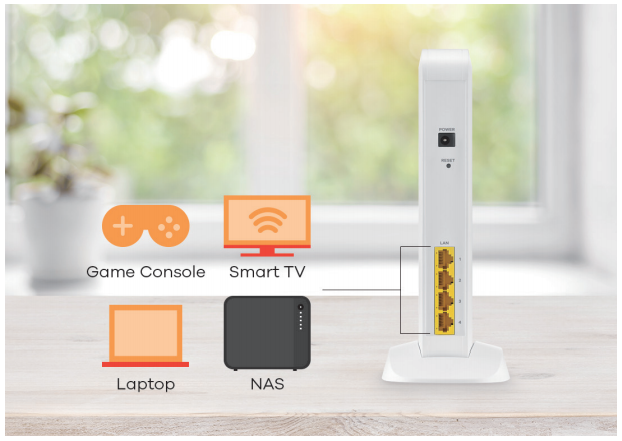 Copy your Wi-Fi settings from an existing Zyxel router** to the ARMOR X1, so that you don’t need to reconnect all your Wi-Fi devices. * The maximum wireless data transfer rate of up to 300 Mbps for 2.4 GHz and 1733 Mbps for 5 GHz simultaneously, which is derived from IEEE Standard 802.11 specifications. Actual data transfer rate will vary from network environment including: distance, network traffic, building site materials/construction, interference from other wireless devices, and other adverse conditions. ** Zyxel ONE Connect router is required for all features on this app. Power consumption 10.2 watt max. Download the Zyxel ARMOR X1 (WAP6806) Datasheet (PDF).